I am a soon-to-be owner of a new in box R9s, as I just recently won an online auction. Hopefully will have the gun in hand within a week or two. I probably paid more for it than I should have, but what can I say - I guess I fell for the Rohrbaugh seduction. And seeing that hang tag still attached to the trigger guard sealed the deal for me! I also ordered several different types of 9mm ammo to have on hand when it arrives - Speer Gold Dot 115 gr and 124 gr, Winchester Silvertip 115 gr, and Federal HST Micro 150 gr. I am only planning on trying the types other than Speer GD 124 if I have failures in the first 3 magazines - if I get through the 3 initial mags with the Speer GD 124, I’ll end the range session content, carry the gun happily, and not shoot again for 6 months... scout’s honor! But I wanted to have alternatives in place in case I do experience failures, though hopefully it doesn’t come to that. I also stocked up on Super Lube and will give it a thorough inspection, cleaning, and lubing before the first range session. At any rate, I’m glad to have this forum as a resource and hope you won’t mind if I share my range reports. You will find an extensive knowledge base here regarding your new pistol. You will also find a friendly and civilized group of members. It's unlike any forum I have experienced on the internet. Welcome. There are a few good takedown and reassembly videos on YouTube that will help with field stripping after your range day. One of the various reassembly tools helps too. All good folks here and, as mentioned, a wealth of Rohrbaugh R9 Pistol information and history. Enjoy looking around the different threads and acquaint yourself with the happenings in the R9 community. I do believe you will enjoy the comradery here. Should you have any questions once your little gal has arrived, feel free to ask away. . . . . . Even though the factory initially recommended Super Lube it was found to be too viscous. Eric could elaborate on this but some time ago Rohrbaugh switched their recommendation to a high quality oil for lubrication. I, too, have a large supply of it. This reminds that I just bought a used Farmingdale that appears to have just been test fired. The whole gun was spotless inside and out with no marks what so ever. The only sign that it had been used was that every part was gooped up with a thick coating of Super Lube. I have been very happy using Frog Lube on my r9s. It smells good and makes the firearm very easy to clean with just a wipe down. You are correct on using good range ammo. Winchester and Fiocci brands have served me well. Keep a firm grip and a stiff wrist to virtually eliminate FTE. I have had some FTF with Blazer. Gold dots have always worked. Once you get the hang of assembly you are set. Spring compression with a proper wrench and a little pressure on top of the barrel will set the recoil assembly. Don't be afraid to put rounds through it. The "sights" are pretty useless, but no one would consider using an R9s for anything beyond ten yards anyway. These little guns are tough. Springs are cheap. IMHO, if you are going to carry it full time, six months between range sessions with it is not nearly enough. This is a "point and shoot" firearm with a long trigger pull, slick grips, and a "history of FTE" with limp wrist. A couple of magazines, one with defense rounds, every couple of months may suffice. But, that is just my experience. I am sure there are others on the forum who may disagree. Congrats on your purchase. This is a great forum with some very knowledgeable folks. Thank you all for the detailed replies and warm welcome! And it’s an honor to receive a reply directly from you, Eric! My usual cleaning and lubrication product line is Mil-Comm, including MC 25 cleaner/degreaser, MC 2500 oil, and TW 25B light grease. I have heard that the TW 25B and Super Lube are actually somewhat similar in that both are synthetic lubricants with PTFE. However TW 25B is significantly less viscous than Super Lube in my understanding, so if the issue with Super Lube was the viscosity, perhaps TW25B is a good alternative? With the tight tolerances in the R9 I don't think you need grease but perhaps TW 25B would work for you in small amounts. The proof is in the pudding. If you were going to put a couple of hundred rounds through it at a range session, grease might be a good idea. You just aren't going to shoot the R9 that much. Grease on a pocket gun is not a good idea, too much crap sticking to it. 1. Tighten grip screws after every 30 rounds or so, but do not overtighten. 2. There are a number of good loads. Interestingly, individual R9’s seem to have individual preferences in ammo, so experiment to find what yours likes. 3. Speer 124 Gold Dot is a gold standard, and the Speer Lawman 124 was developed as a cheaper load that reproduces the Gold Dot experience in practice. 4. I have routinely used EEZOX to clean and lubricate my small pistols...this was the preferred agent of Larry Seecamp for the Seecamp pistols, and has the advantages of a nice smell, and it dries as a powder that lubricates but doesn’t collect dust and lint...was used in combat for that reason I am told. 5. If compressing the recoil spring is difficult for you during reassembly, there are several tools available, but I favor going to Lowes and buying a blue plastic Bus puller. Us a Dremel or similar tool to cut a semicircular bite out of one of the teeth and it works like a dream. 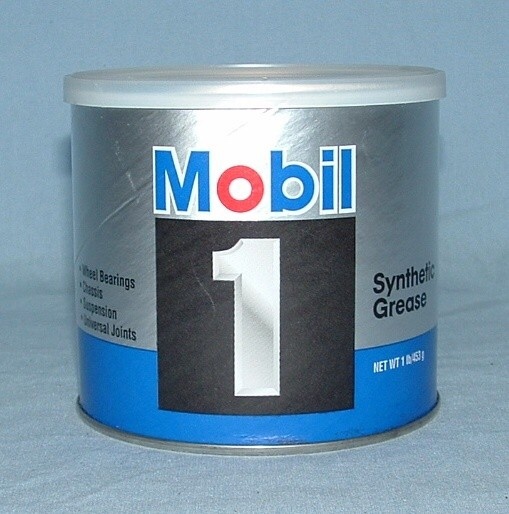 I’ve been using Mobil 1 Grease on my R9’s. I like grease where it can be used because I feel it gives better protection from metal to metal contact and it stays put. I use Mobil 1 0W-40 oil on the recoil spring assy. I started using Mobil 1, 15W-50, on my all stainless steel Auto Mags years ago and have had excellent results. I have since started using it on most of my stainless pistols. A quart lasts a long time. "Take it easy greasy. You've got a long way to slide." A good friend of mine has close to thirty, including some extremely rare units. And one of the new Founders Editions.